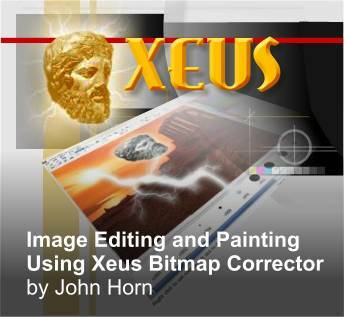 John Horn (covoxer in the Xara Conferences) has created a bitmap editing and painting utility, Xeus (pronounced Zeus) Bitmap Corrector that works inside Xara X1 (and many previous versions of Xara) and allows you to do actual pixel editing and painting. Xeus is a compliment to Xara's Picture Editor XPE and adds features missing in XPE but does not duplicate features that exist in XPE. In this Guest Tutorial, John will present 4 short tutorials.